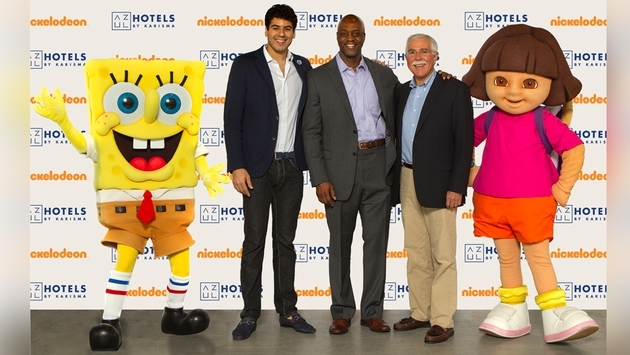 Starting this summer, kids at Karisma Hotels & Resorts’ Azul Hotels brand will have the chance to hang with Dora the Explorer, SpongeBob SquarePants and the Teenage Mutant Ninja Turtles, thanks to an agreement forged between Karisma and Viacom International Media Networks to bring Nickelodeon characters to Azul properties. The Nickelodeon program will feature meet-and-greets, and dining and in-room experiences for young guests. More specifics of the program will be unveiled in the coming weeks and months. The Nickelodeon vacation experience will replace a program operated by Fisher-Price. “Fisher-Price was a great partner to us. They believed in us,” said Chomat, adding that the Nickelodeon partnership is expected to take Azul to the next step in family programming. “This is just the beginning of a long relationship,” he said. Another selling point for families, said Chomat, is the range of accommodations at Azul Hotels that are tailor-made for parents traveling with kids. Properties offer guaranteed connecting suites as well as suites that can accommodate two adults and three young children. Azul Fives boasts one-, two- and three-bedroom suites, which Chomat said are becoming increasingly more popular with families. “We’re trying to make sure when families go on vacations at our hotels they have the ability to be together,” he said. 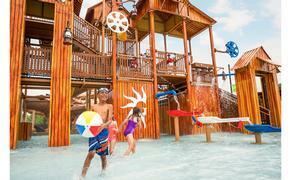 Azul properties also boast kids and teen clubs, splash parks and movie nights with popcorn.